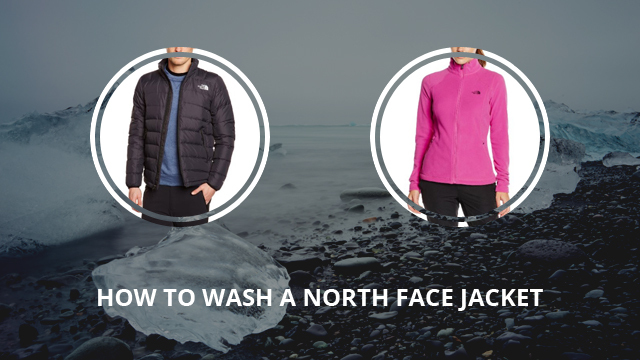 Today’s article is a useful guide where we’ll learn about how to wash a jacket the right way and, specifically, we will be discussing about The North Face jackets’ cleaning specifics. This will be a handy guide, for those of you who are regular users of this brand, but also for those who have bought a jacket of theirs, and are looking into how to properly maintain it. With every new piece of clothing we purchase, what we mostly focus on is the material, the colors, the design and of course, the features and specifics it comes with. We judge clothes by how comfortable they will be when they are being worn, or by how good they go with your favorite pair of shoes or jeans. What is rarely taken into consideration is how to clean the item we are about to buy. This is definitely not something to overlook, because when it comes to washing clothes, several things should be taken into account. The washing of jackets, in general, has a few things that should be considered. The type of material used and the type of jacket are two of the key issues that affect how to best clean your jacket. The reason why they are important is because depending on the type of jacket and the material it is made of, it affects both water temperature and method of washing (washing machine, by hand, dry cleaning, etc.). We thought it would be best to divide this guide into paragraphs, depending on the types of jackets. Before we get into it, in case you are wondering if you will have to come back to this article every time there is a need to wash your North Face jacket, do not fret, they come with a tag with cleaning instructions, to make everything easier. Gore-Tex jackets are some of the most versatile and useful jackets out there. They are durable, water resistant and wind resistant. Usually they come with a DWR coating, which does not allow water to penetrate through. And adding to the good qualities of these jackets, is their easiness in being washed. They can be machine washed and will not only get cleaned nicely, this is also an important step in maintenance, because it protects the DWR coating. To wash a Gore-Tex jacket, firstly you need to zip up every zipper, including the main one and those on the pockets, and secure the Velcro straps on the cuffs. Then, following the instructions on the tag about water temperature, put it into a washing cycle of low spinning and twice rinsing, with a small amount of liquid detergent. Be careful not to use fabric softeners, powder detergents and especially not bleach, as these will damage the fabric. After washing it, the drying process is essential as well. You could either let it dry on a drying line or tumble dry it. Tumble drying it will help to reactivate the DWR protection. As for those who do not have the option of tumble drying their jacket, an iron can be used. It should be on warm and no steam, preferably with a silicone protective cover, or at least a cloth in between the iron and the jacket. It should be a fairly easy process and once you start to notice that the DWR coating is not reactivating anymore, you can either apply the water repellent treatment yourself, or you could take it to the dry cleaner to have it applied. Fleece jackets are pretty durable, despite being very lightweight and seemingly fragile. They are not waterproof or water repellent, however they do not get wet easily. How fleece works, is by allowing water to either pass through it, or to pool on top of it, without the fabric absorbing it. In order to clean a fleece jacket, it is advisable to use cold water and mild detergent or soap. Bleach is a definitive no in this case, as well. If there are zippers and especially Velcro, they should all be zipped up and the Velcro straps fastened, so there will not be abrasion going on. To avoid pilling, a trick is to turn the jacket inside out, but for quality polyester, such as in The North Face’s case, pilling won’t happen for a long time. But fleece does pill eventually, so just to be on the safe side, you could wash it this way. As for drying, air drying is the best option. Unnecessary heat can damage the fabric. Dry cleaning is also advised against. We are at the special treatment segment of our article, the down jackets. Albeit being fluffy, warm and weirdly lightweight, despite the size and amount of down feather filling. We will be going over the general way of cleaning a down jacket yourself. 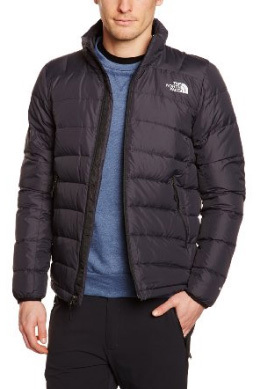 The North Face, however, highly recommends that you take your down jacket to a dry cleaning facility that specializes in the cleaning of down jackets, so as to avoid damage to the fabric and especially the filling. When it comes to down jackets, the problem that might occur, is when it is time to dry the jacket. When wet, down tends to form into clumps, which, if not dried correctly, will remain that way. This practically means that your jacket will not perform as well. Not only will this affect the ability of down to provide heat, it will also affect insulation, creating open spots for the heat to leave and therefore keeping you warmer for a shorter period of time. And if this incorrect process of cleaning continues, after considerably few washes, the jacket will no longer be wearable. Normal detergent and fabric softeners will damage the down, so it is necessary to purchase either a specific down-washing detergent, or to purchase a mild and pure soap. This will help keep the natural oil of the feathers from being stripped away by the harsh chemicals found in most detergents. In order to machine wash a down jacket, it is best to make sure that the machine is clean and that there is no residue of previously used detergents. This can be done by putting through a rinsing process, while empty. Afterwards, proceed with washing the jacket on the delicate cycle, at 30 to 40 degrees Celsius, with a low spinning setting, so as to minimize clumping. Now it’s time for the difficult bit, drying. The best option would be to use a tumble dryer. Beforehand, make sure that you fluff as much of the down filling as possible. As suggested in the video below, if you do not have any drying balls, you could put two tennis balls in, in order to help break up down. The tumble dryer is very useful, because it will continuously shake the jacket, breaking up all the clumps. You need, however, after 20 minutes, to take it out and check for clumps. This should be repeated in 20 minute intervals, until the jacket is thoroughly dried. Make sure to check that there aren’t any clumps left. If you do not own a drier, however, consider washing and drying your jacket when the weather is windy or sunny, so it dries a bit faster. This process takes much longer, and it is tedious, because you will have to break the clumps continuously over several hours, every 10-15 minutes, to ensure that it will dry correctly, so loft and insulation will not be compromised. 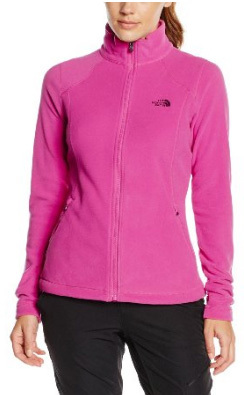 These are the main types of jackets in general and the most popular from The North Face. With all the tips and instructions finally done, keep in mind to rinse twice, in order to make sure that there is no detergent residue. 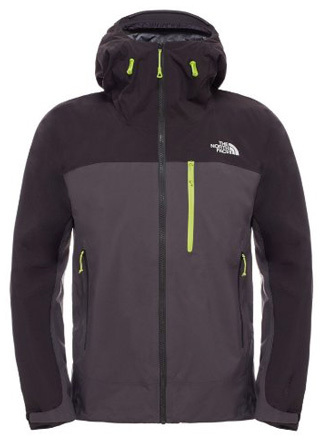 There are several worried and curious users online that have frequently asked about proper care of their North Face jackets, and if you are one of them, we hope this guide will come in handy and that now you have a better understanding of what you need and how to proceed in order to not only clean your jacket, but to also maintain it in the best shape possible, for a long time. Keep a close eye on the instructions tags and follow them precisely and you will be sure to have your jacket for many seasons to come.